Recently The University of Akron’s Zips Racing team invited sponsors of the team to a meet and greet event. This event commemerated wrapping up the 2015 racing season and gave a glimpse of what 2016 will offer. 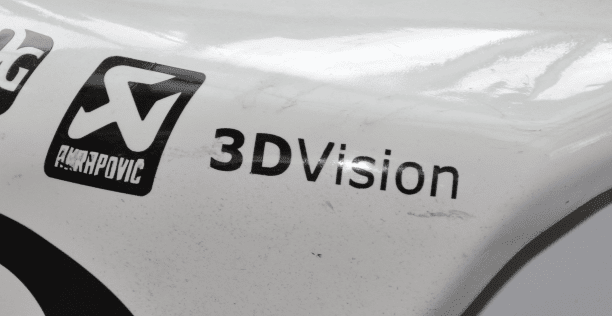 3DVision Technologies has been a proud sponsor of the Zips Racing team for several years. The 2015 racing season proved to be a success with the Formula SAE Michigan and SAE Formula North placing in the top 5 several times in autocross, acceleration and Skippad. The Zips Racing design placed third and fourth for engineering design. The team also competed internationally in Formula Student Germany. The sponsor event was setup on the University’s grounds next to the Auburn Science center. The team laid out an autocross track in the adjacent parking lot and allowed attendees to drive the cars. Everyone at the event was enthusiastic about the cars and the engineering that went into them. The team is relatively young with most of the students being sophomores. Dr. Dan Deckler is the Baja team faculty advisor and attributes the success of the team to the students continuing commitment. The team being so young helps as the students learn rapidly year over year always improving. This upcoming season is looking to combine the power plant of years past with the steering dynamics of this past year’s car. From what I witnessed this will be a winning combination. A large thank you to all the students and faculty involved with the Zips Racing team for making the sponsor event a Family friendly, fun, and educational success. Also thanks to 3DVision Technologies for sponsoring programs like the Zips Racing Team, and investing in tomorrows engineers.